One of the major reforms in the Indian Taxation System is the introduction of GST, i.e. Goods and Services Tax. It aims at removing the cascading effect, i.e. double taxation. GST is a tax on value addition, imposed on the production, distribution and consumption of goods and services. It is commonly contrasted with Value Added Tax, shortly known as VAT, which is an indirect tax levied at each stage of manufacture and distribution of goods on the incremental value. The primary difference between VAT and GST is that while VAT applies to the sale of goods, GST applies to the supply of goods and services. So, this article will make clear, all the doubts and misconceptions, related to the two types of tax regimes, in India, take a read. Meaning VAT is a consumption tax, that is levied on the value addition, at each stage of production/distribution of goods. GST is a destination based tax, charged on the manufacture, sale and consumption of goods and services. Registration Compulsory if turnover is greater than 10 lakhs. Compulsory if turnover is greater than 20 lakhs. Excise Duty It is levied, on the manufacture of excisable goods. It is not levied. Interstate sales Input credit is not possible in case of interstate sales. Input credit can be availed in case of interstate sales. Value Added Tax, or otherwise called as VAT, is a multi-point tax system, wherein the tax is levied by the state government, at each level of production/distribution of goods. In this regime, the tax is levied on the incremental value of the goods, to eliminate the cascading effect, at different levels of sale. It is a type of consumption tax, wherein the value addition made by the firm is equal to the difference between proceeds and the cost of purchases. It allows the purchaser of the goods to avail input tax credit, i.e. the tax paid at the previous stage will be deducted from the net tax liability. To avail the input tax credit under VAT system, every dealer is required to obtain registration. In this system, the VAT is levied at different types of rates, 0% is for agricultural goods and items of social importance, 1% gold and silver jewellery, 4% raw material or inputs used in manufacturing and capital goods, 20% for luxury items and remaining items are taxed as per normal slab rate, i.e. 12.5%. GST stands for Goods and Services Tax, which is a destination based value added tax charged on the production, sale and consumption of goods and services. It is important to note that GST applies to the value addition at each stage, and no other tax would be levied, which results in the elimination of cascading effect. In this system, the supplier of the goods or services is eligible to avail input tax credit, i.e. the GST paid on the purchase of goods, will be set off against the GST payable on the supply of goods and services. So, ultimately, the end consumer, bears the tax imposed by the last supplier in the distribution chain. In India, Dual GST has been implemented, which is simultaneously levied by the Central and State government to tax goods and services. The Centre charges the tax on intrastate sales, called as CGST. States charges tax on the services, called SGST andUTGST in case of Union Territories. For the interstate supply of goods and services that are taxable, are covered under IGST, i.e. Integrated Goods and Services Tax. GST slabs are fixed at 5%, 12%, 18% and 28%. VAT or Value Added Tax is an indirect tax, wherein tax is imposed at the state level, at every stage of production and distribution of goods and services, with credit for tax paid at the previous stage. GST expands to Goods and Services Tax, which is a single tax, levied on the supply of the goods and services that relies on the principle of value addition. While VAT is levied on the sale of goods, in GST the point of taxation is the supply of goods and services. The registration and payment under VAT regime are performed offline, whereas GST is completely an online system, wherein the registration, filing of return and all other function can be performed through a common GST portal managed by Goods and Services Network (GSTN). When it comes to registration of supplier, in VAT system the registration becomes mandatory when the turnover of the supplier is beyond Rs. 10 lakhs. On the contrary, if the aggregate turnover of the supplier exceeds Rs. 20 lakhs, then he/she is required to obtain registration under GST. VAT system is a summary based system of taxation, wherein the seller of the goods has to submit the return, at the end of the particular period. Conversely, GST is a transaction based taxation system. In case of the VAT, the seller state collects the revenue, whereas, in GST, the collection of revenue is done by the consumer state. In VAT system, the manufacturer of excisable products is charged excise duty on its production and VAT on intra-state sales, which causes double taxation. On the other hand, excise duty is subsumed in GST, and so there are no chances of double taxation on such items. Under VAT system, input tax credit cannot be availed, in case of interstate sales. For instance: Suppose, on the manufacture of cloth, central excise duty (CENVAT) is levied and VAT is imposed on its sale within the state. 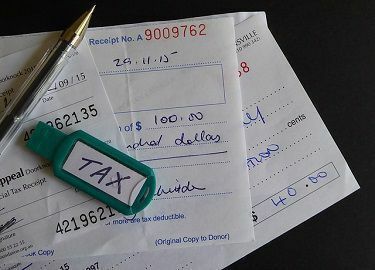 Although both CENVAT and VAT both are a value-added tax but set off is not possible because they CENVAT is levied by the central government, and State Government imposes VAT. Unlike, GST is based on the principle, ‘one nation one tax’, so input tax credit is available for the interstate sales. By and Large, VAT emerged as a reformation to the old sales tax to remove the cascading effect, to a great extent. Likewise, GST was adopted over the VAT, which subsumed other taxes, such as excise duty, surcharge, cess, entry tax and so forth, which also improved the taxation system in India.